Your little sister has many qualities. Here's a gift to remind her of that and make sure she doesn't forget. 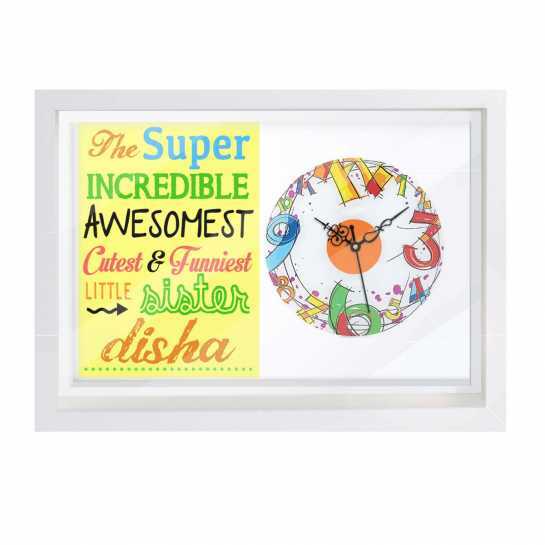 Personalized wall clock is a colorful gift for an awesome sister.